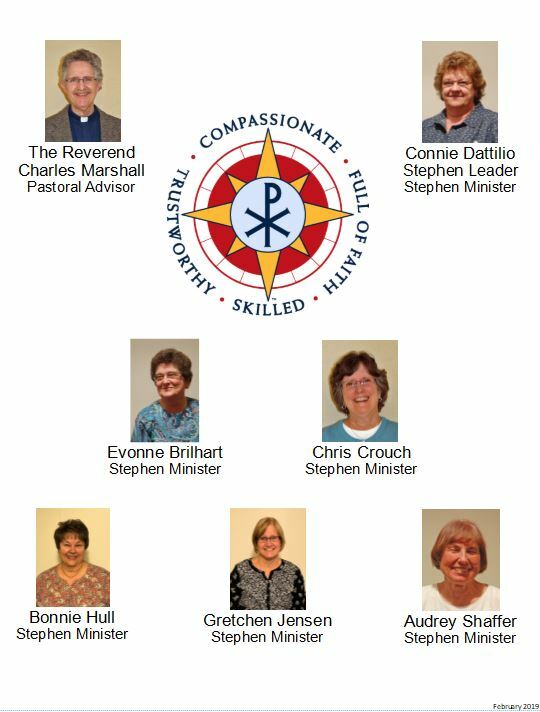 Stephen Ministry, named after the first Christian martyr and deacon, St. Stephen, is a lay ministry that extends both care and comfort to members of the congregation and community. The program consists of a year of training and preparation for each candidate. Each Stephen Minister brings to this ministry a unique combination of gifts, personality and character. They minister to shut-ins, the ill or dying, the bereaved, those dealing with divorce or separation, or anyone who desires mutual consolation. These relationships are kept in strict confidence. Stephen Ministry was introduced to Immanuel Lutheran Church in 1995. Pastor Norma Schenning was the trainer and coordinator of the program. In 2012 Bob Nicoll received training as a Stephen Leader and assumed responsibility for the program at Immanuel. Pastor Norma remains an advisor to the group. If you would like more information or are in need of our ministry, please contact the church office at 410-374-4463.